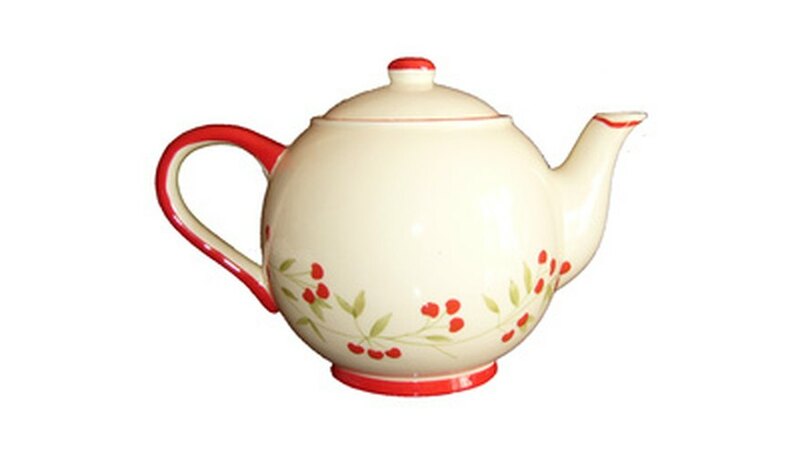 A teapot costume can be an unconventional and charming costume for school plays, dance recitals or trick-or-treating. There are many variations you can choose to design your costume. For example, you may want to make a costume reminiscent of the character in the Disney film “Beauty and the Beast.” To make a teapot costume, choose between a fabric design that requires sewing, or a no-sew paper mache variation. Making a little teapot costume, short and stout, can be made easier with the right planning. Paint two hula hoops to match with your desired teapot color. These hula hoops will be the base for the top and bottom of the teapot. Connect the two hula hoops with lengths of sturdy, craft wire. Bend the wires in a concave shape all around the hoops to create the rounded shape of a teapot base. Pin fabric in place along the wire. Sew the panels in place or use hot glue to attach the fabric to the frame. Instead of using fabric, you could also choose to paper mache the base. Simply wrap chicken wire around the wire frame. Cover the wire with strips of newspaper and glue mixture. Allow the paper mache to dry. Cut holes in either side of the material to push arms through. Finish the holes by sewing around the edges with a needle and thread. For extra sturdiness, surround the edges in piping and sew them in place. Add two ribbon shoulder straps to the top of the hula hoop. These straps will rest on the shoulder of the costume wearer. Cover one sleeve of a long-sleeved shirt in fabric to match the teapot’s base. This will resemble the teapot spout. Curve the other arm against the body to look like the handle of the teapot. Cover a wide brimmed hat in fabric to coordinate with the base of your teapot. Glue or stitch a felt ball on top of the hat to resemble the top of a teapot’s lid. Wrap the width of the hat in ribbon as an accent color. Glue or stitch in place.